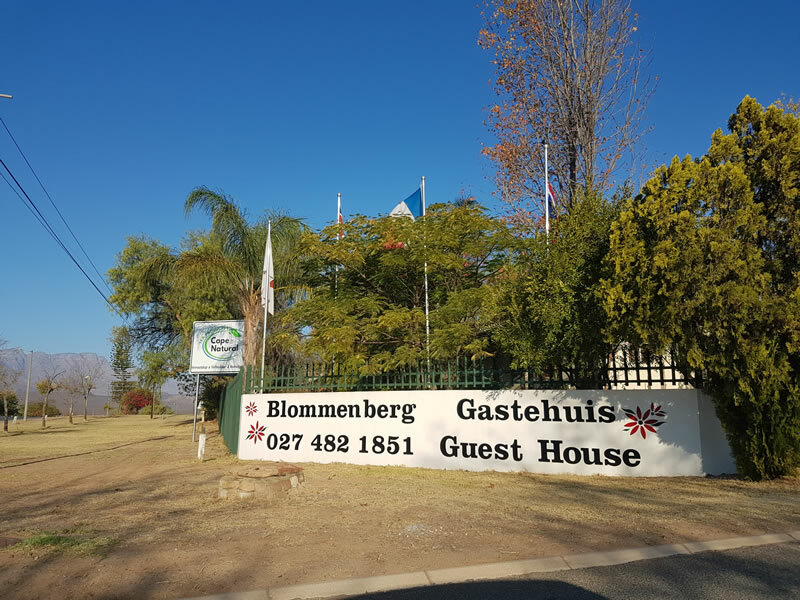 Blommenberg Guest House offers 13 comfortable rooms. 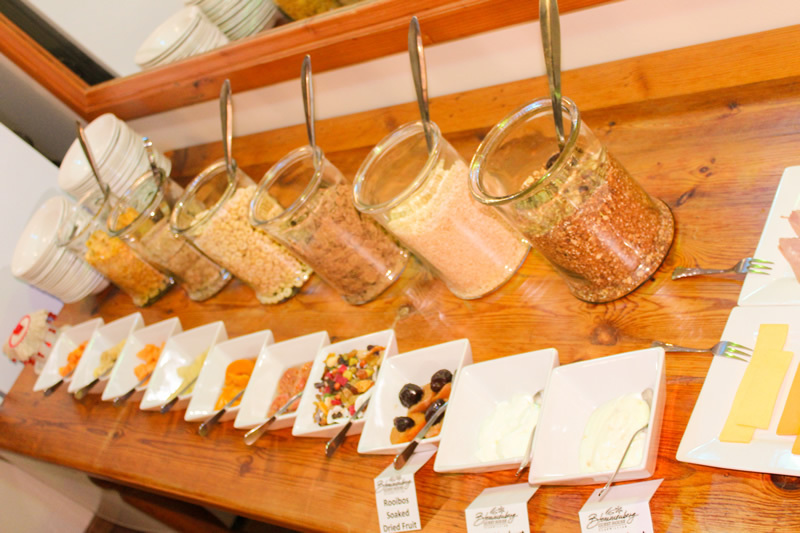 Each lovely room is equipped with a TV with selected channels, is air-conditioned for comfort and offers a mini-bar, tea and coffee facilities, wifi internet access and electric blankets in winter. 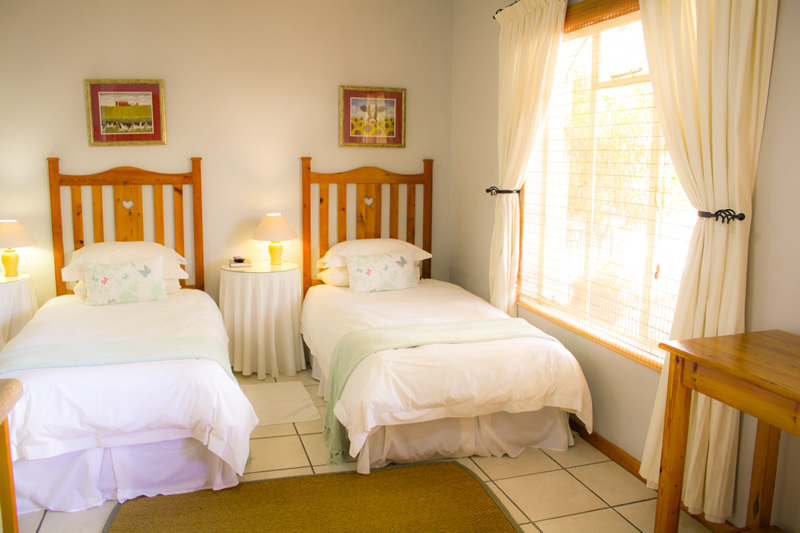 All the rooms have en-suite bathrooms with a bath or a shower and they are furnished with comfortable twin, double or queen size beds. 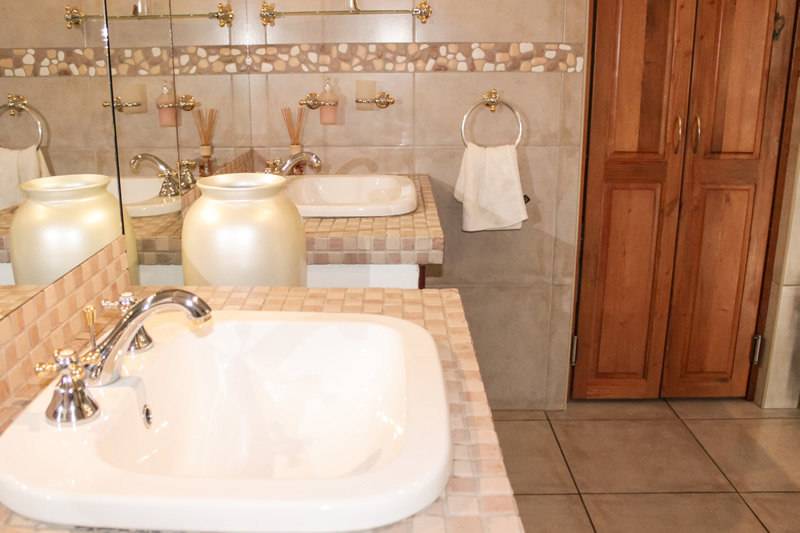 Four of the rooms are equipped for self-catering and have kitchenettes with microwaves; kettles; cutlery; crockery and braai facilities. Meals and packed lunches can be arranged and guests can cool down in the inviting swimming pool or just sit and relax in the lovely garden.